Cerisy is a village 10 kilometres south-west of Albert. 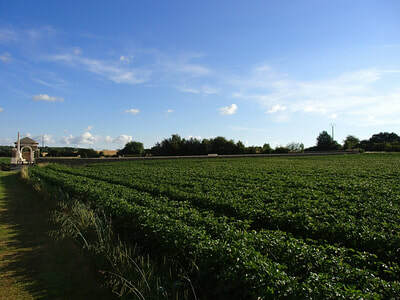 From Albert take the D42 in the direction of Morlancourt and Moreuil. After passing Morlancourt you arrive at Sailly-Laurette. Continue until reaching a crossroads where you turn left onto the D71 in the direction of Cerisy. Continue on the D71 until you approach a group of bungalows on your left. 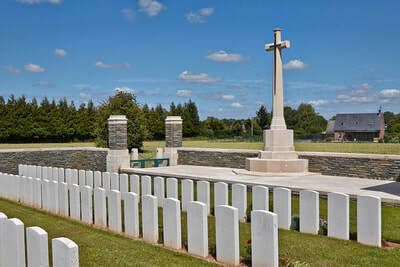 Turn left at the end of this group of bungalows when you will then approach Cerisy-Gailly Military Cemetery. 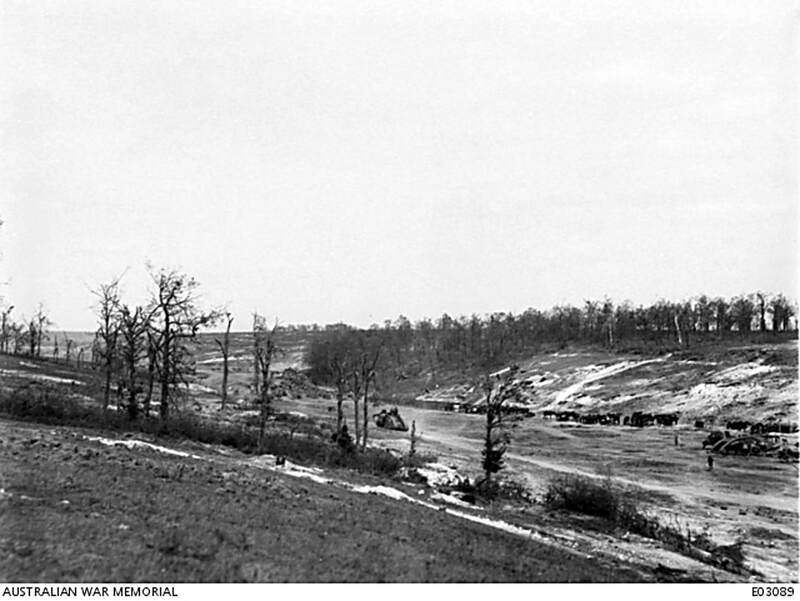 Gailly was the site of the 39th and 13th Casualty Clearing Stations during the early part of 1917, and of the 41st Stationary Hospital from May 1917 to March 1918. 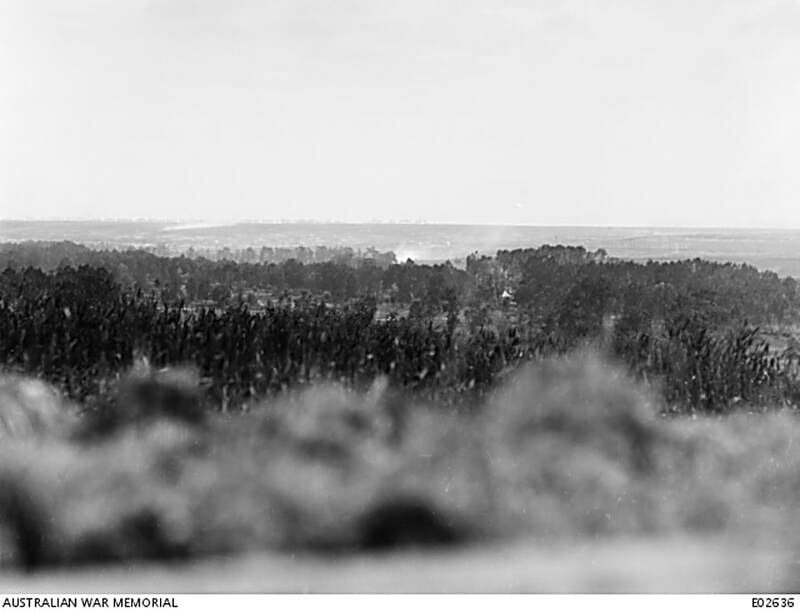 The villages were then captured by the Germans, but were retaken by the Australian Corps in August 1918. 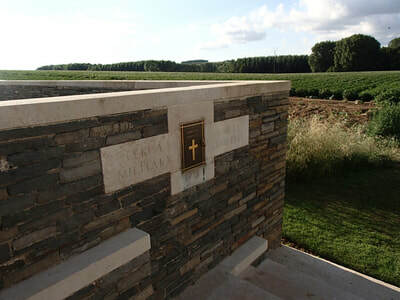 BEAUFORT BRITISH CEMETERY was about 300 metres North of Beaufort Church. It was made in August, 1918 (after the capture of the village by the 1st Canadian Division) between the existing German Cemetery and a farm track, and it contained the graves of 56 Canadian soldiers and two from the United Kingdom. 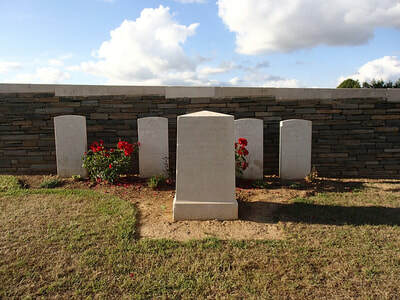 BUIGNY-LES-GAMACHES COMMUNAL CEMETERY contained the grave of one soldier from the United Kingdom, buried in July, 1918, by the 26th Field Ambulance. 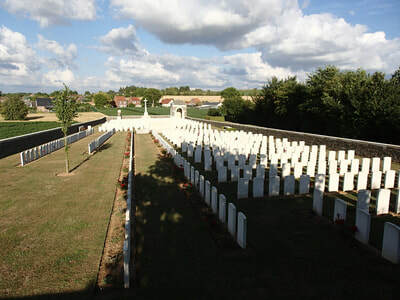 BUIRE COMMUNAL CEMETERY EXTENSION, in the commune of Buire-Courcelles, was on the North side of the Communal Cemetery. 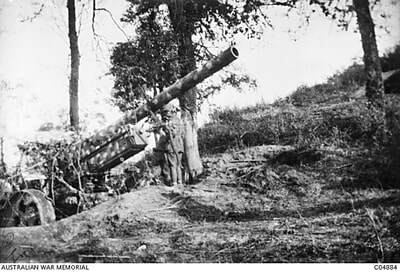 It contained three German plots and one British, and in the British plot were buried 36 Australian soldiers and four from the United Kingdom. 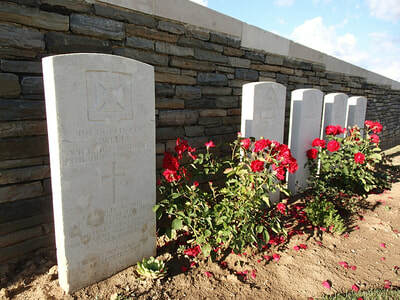 These men fell in September, 1918 except three who were buried by the enemy in the preceding March. 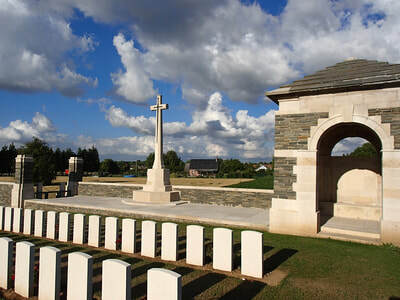 MARICOURT MILITARY CEMETERY was at the South-East corner of the village, on the road to Clery. 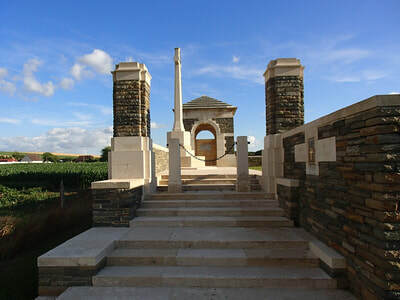 It was begun by French troops in December, 1914, and was known to the French by the name of Ferme Caudron. 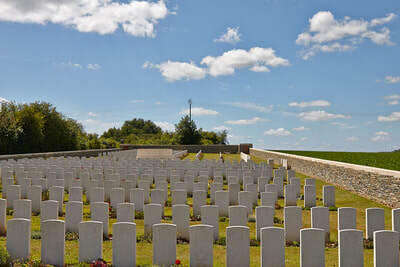 It was taken over by British troops in August, 1915, and used until July, 1916. 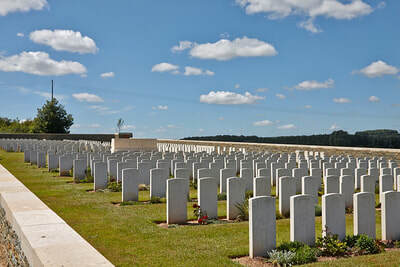 It contained the graves of 887 French soldiers, 260 from the United Kingdom and six German. STE. HELENE BRITISH CEMETERY, PONTRUET, was on the East side of the hamlet of Ste. Helene. 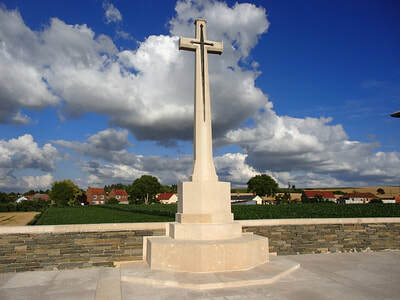 It was made in September and October, 1918 during the capture of the hamlet by the 46th (North Midland) Division and their attack at Pontruet, and it contained the graves of 88 soldiers and one airman from the United Kingdom, the majority of whom belonged to the 46th Division or the 1st Dorsets. 158 French and 35 German graves were removed to other burial grounds. 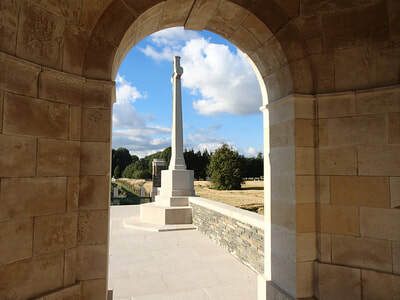 The cemetery now contains 745 Commonwealth burials and commemorations of the First World War. 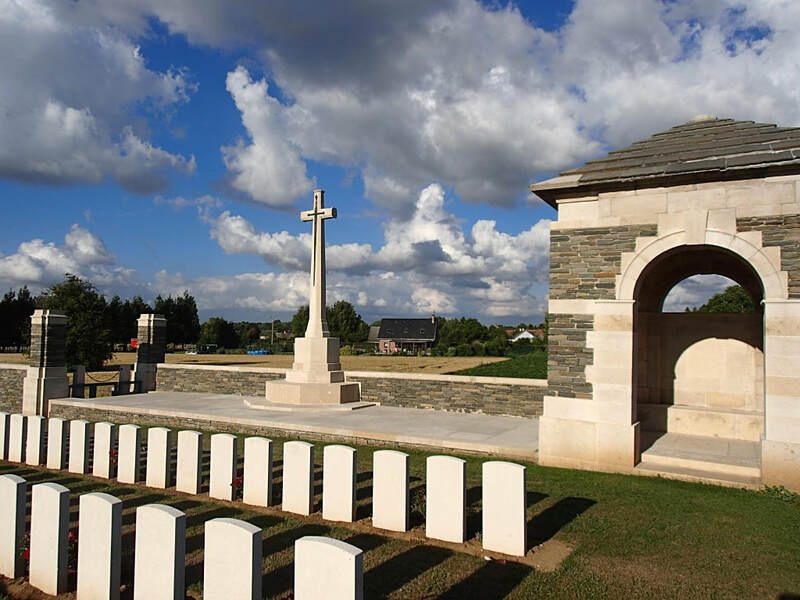 114 of the burials are unidentified and special memorials commemorate five casualties buried at Maricourt and Ste. Helene whose graves could not be found. From Gippsland, Victoria, who was a 20 year old labourer when he enlisted and embarked for overseas on 10 August 1915 from Melbourne aboard RMS Persia. He saw active service at Gallipoli, and in France, where he was killed in action on 8 August 1918 at Morcourt. 23rd August 1918, aged 23. Son of George John and Annie Gertrude Burke, of 37, Brighton Rd., St. Kilda, Victoria, Australia. 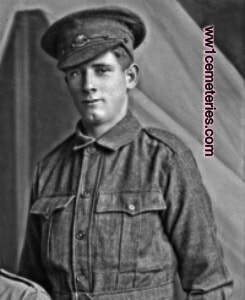 The son of George John and Annie Gertrude Burke of Melbourne, Harold enlisted in the AIF at the age of 21 in August 1914. Two months later he embarked for active service overseas with the 5th Battalion, and after a period of training in Egypt, for the Gallipoli Campaign. He landed with his battalion on the 25th April 1915 as part of the second wave. 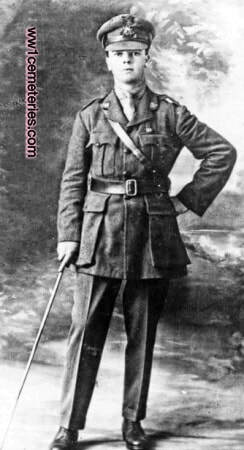 While at Gallipoli, Burke was promoted through the ranks; firstly to Corporal in June, Sergeant in August, then 2nd Lieutenant in September. After the withdrawal from Gallipoli and return to Egypt, Burke sailed for France and the Western Front in March 1916 with 5th Battalion. It was at this time that he was promoted to Lieutenant, and in August was promoted to Captain. 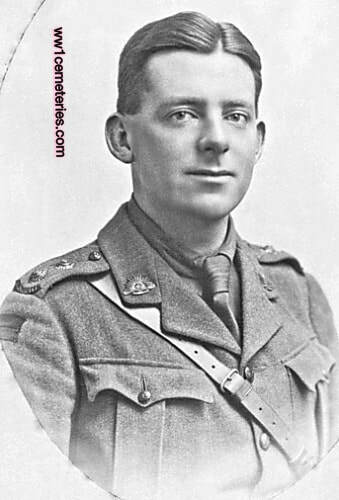 In September 1917, Burke was awarded the Military Cross for displaying "sound judgement and good leadership" during operations at Ypres on 20th September 1917. Captain Burke was killed in action on 24 August 1918 at St Martins Wood near Proyart in France, a few weeks prior to the 5th Battalion's disengagement from operations. His brother, Lieutenant Maurice Burke was captured in March 1917 and was held in several POW camps in Germany before being released at the end of the war. 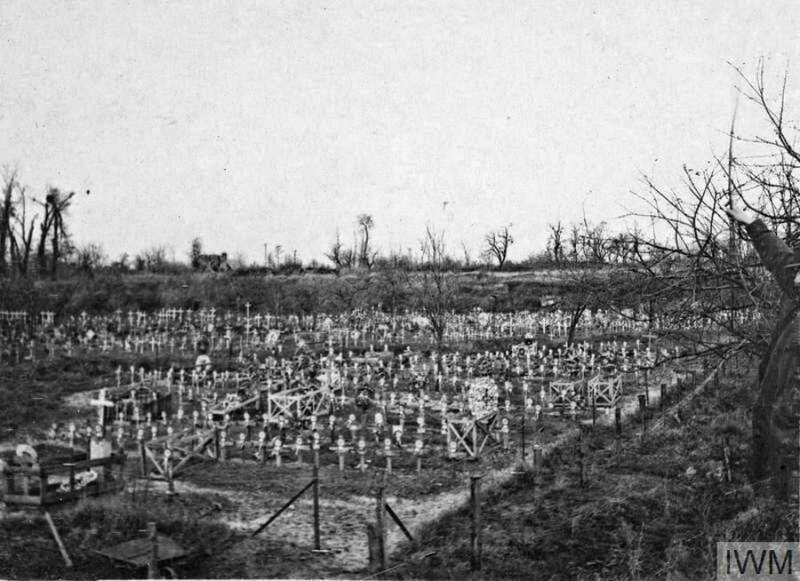 Lt Burke was to hear of his brother's death while in captivity at Freiburg, at which Captain Pius Stengel, the camp commander, allowed him the privacy of his office upon receiving word of his brother's death. 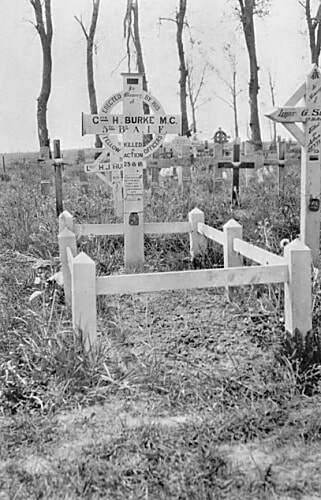 Images below show Harold Burke as a Private and also his original grave marker. Son of Philip Thomas and Frances K. Cornish, of 27, Walter St., Arncliffe, New South Wales. 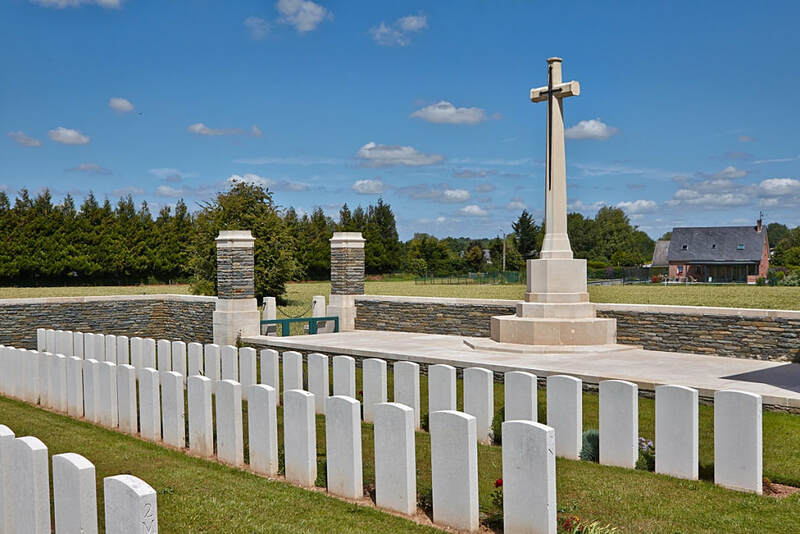 Brother of Gunner 2533 Walter Thomas Cornish, (Died of Wounds, 22 September 1917 and buried at Lijssenthoek Military Cemetery). A labourer prior to enlisting, he embarked from Sydney aboard HMAT Argyleshire (A8) on 18 October 1914. He was killed in action on 8 August 1918, during the Battle of the Somme, at Cerisy, France, aged 25. He was killed on 8th August 1918 when his gun, which was firing over open sights, received a direct hit, instantly killing Edmund Cornish and four other members of the battery, all of whom were buried at Cerisy-Gailly. 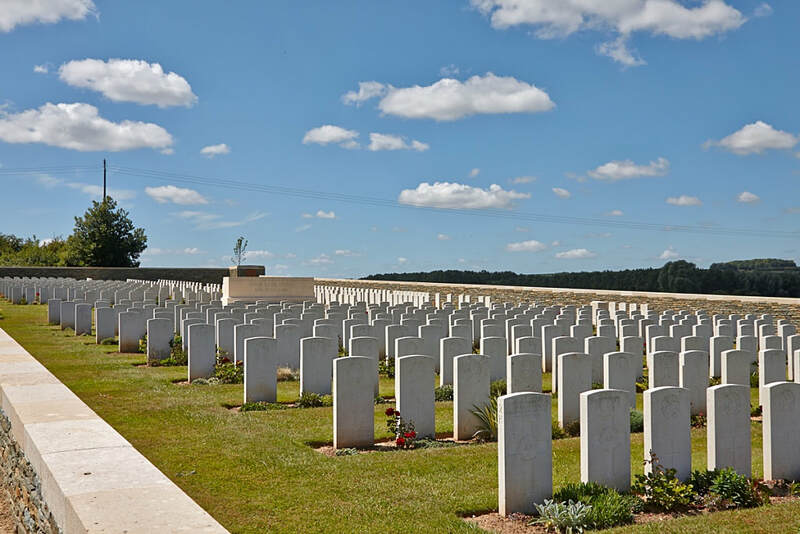 8th August 1918, aged 20. Son of John Sydney and Mary Frances Hopley, of 53, Fawkner St., South Yarra, Victoria, Australia. Born at Melbourne, Victoria. A labourer when he enlisted on 9 February 1916. He was killed in action on 8 August 1918 at Morcourt, France. "He (Hopley) married in England but came from Victoria. At Morcourt on Aug. 8th 1918 at 7 a.m., we were advancing when Hopley was killed instantly by Machine Gun Fire. 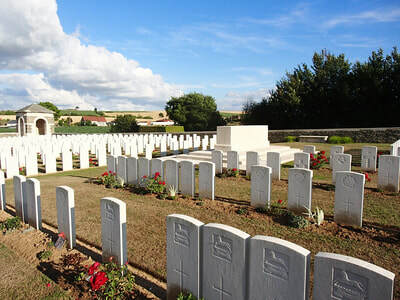 I saw him lying near the road, When coming back next day, there was a new grave where he had been lying and his rifle was sticking in the ground at its head, I therefore think he was buried at P/C. 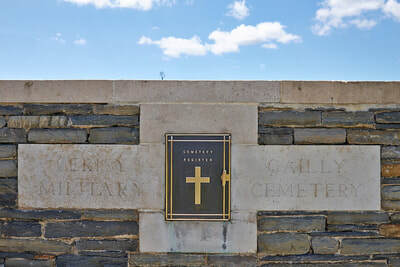 (Place of Casualty)"
Son of William Alexander Johnston and Agnes Mary Johnston; husband of Lily Norma Johnston, of "Nacy," North St., Quirindi, New South Wales. Born at Frederickton, New South Wales. A bank accountant prior to enlisting, he embarked from Sydney aboard HMAT Port Sydney (A15) on 5 November 1917. 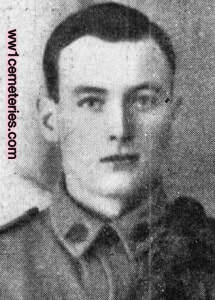 On 8 August 1918, aged 27, he was killed in action at Amiens, France, during the Third Battle of the Somme. Died on his first flight, Frank was observer in a plane which crashed through pilot error. He was killed on the same day that his squadron was fighting the Red Baron's Flying Circus. 21st April 1916, aged 24. Son of Tom and Eliza Pascoe, of Cleaves, Stenalees, St. Austell, Cornwall. Killed in action near St. Quentin 18th September 1918, aged 20. Son of George and Fanny Payne, of 41, Strathmore Rd., Croydon. Son of Mrs. A. F. Pike, of "Devon," Oxlane, Harpenden, Herts. Bernard Joseph Shaw, M. M.
Son of Peter and Rosa Shaw, of 12, Church St., Launceston, Tasmania. Born at Longford, Tasmania. A 20 year old letterpress printer prior to enlisting on 8 January 1915, he embarked for overseas as a Private (service number 1669) with the 3rd Reinforcements from Melbourne on 19 February 1915 aboard HMAT Runic. 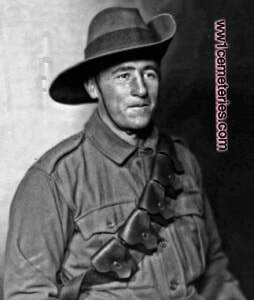 He served at Gallipoli and on the Western Front where he was wounded in action at Pozieres, France on 8 August 1916. 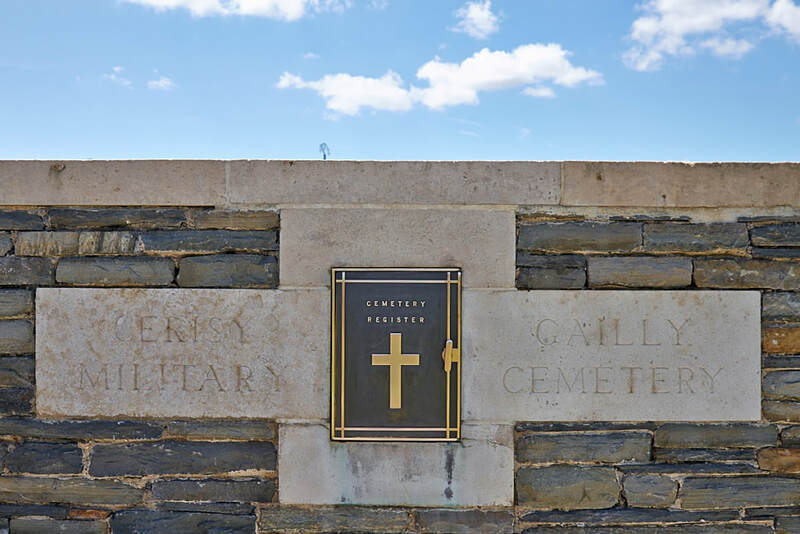 After recovering from his wounds, he rejoined the battalion earning promotions and being awarded the Military Medal as a Sergeant during the advance to the Hindenburg Line in April 1917. He received his commission as a Second Lieutenant on 20 April 1917 and was promoted to Lieutenant on 16 September 1917. He was killed in action near Amiens, France on 8 August 1918. 454610 Private Wilson Norman Ling, 2nd Bn. 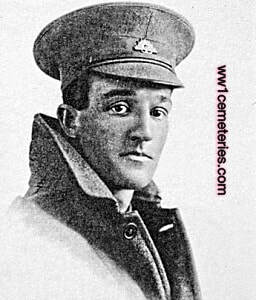 Canadian Expeditionary Force, executed for desertion on 12th August 1918, aged 22. Plot II. N. 20. 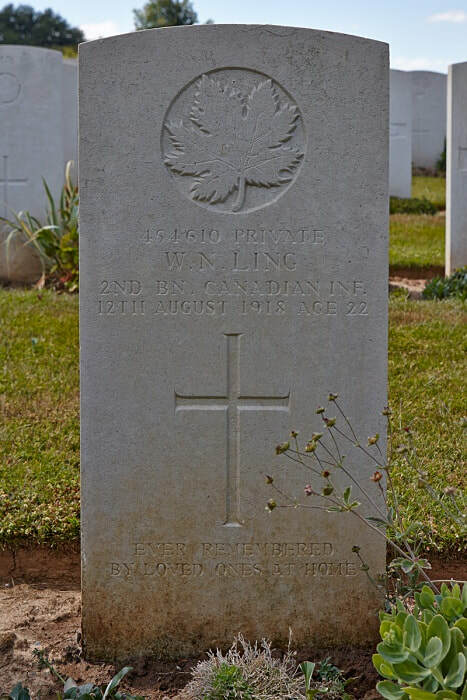 Son of Albert E. and Fanny Ling, of 1125, Dovercourt Rd., Toronto, Ontario.